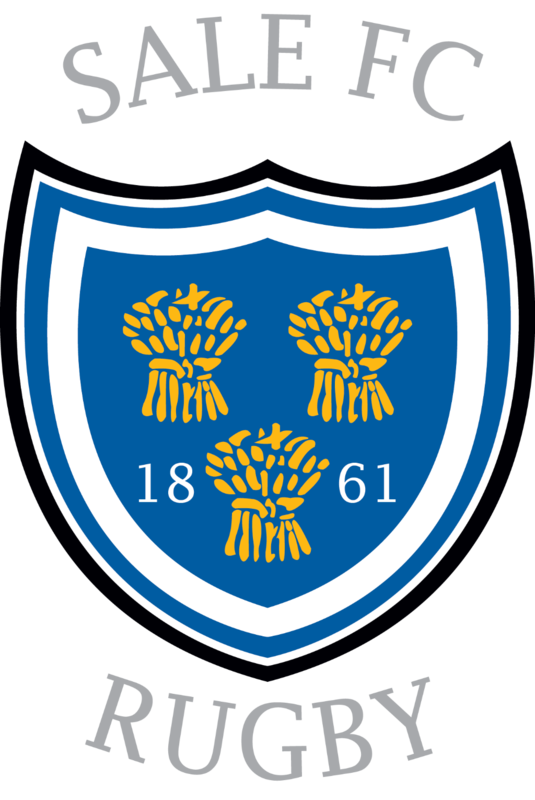 On Saturday, Sale FC Rugby travelled four and half hours to Cambridge to open their National League 1 campaign. The day itself appeared to be quite mild when we left Sale, but as we approached KO the temperature sored which had a real impact as the game wore on. The 36-36 final result was the classic game of two halves. 11 tries, a Yellow and a Red Card meant that the game had pretty much everything you could ask for with high drama reserved for the 84thminute. Sale started on the front foot and were on fire in a sizzling first half performance. It was clear that Sale FC had carried on the form that they had finished in last season’s league winning run, with the team playing at a tempo most teams would be struggling to deal with. In fact, Cambridge appeared to have no idea how to deal with the speed of attack and at times seemed to be grasping at thin air. Sale FC stunned the home side with two quick fire Tries, the first scored by Simon Griffiths crashing over from short range and a second by Adam Aigbokhae showing the backs a clean pair of heals putting Sale 0-12 up within the first 7 minutes. Powerful play up front and quick passing saw another score on the 19th minute, this time Matt Postlethwaite got onto the end of an excellent Chris Johnson pass, splitting the defence and going over through the huge hole to put Sale up 0-19 and the home crowd was shell shocked. To be honest, even the travelling supporters weren’t quite sure what to make of things. A penalty by Cambridge Jack Green on 29 mins halted Sales meteoric charge, which was added too in the 37th minute with a converted Try by Ean Griffiths making it 10-19. With everyone thinking that would be it for the first half, however, a confusing penalty decision meant that with a Cambridge crowd sensing Sale were weakening cheered loudly when we had to take a lineout rather than run into the shade and get some rest. A quick lineout and an outstanding run and side step with inches to spare by Arron Reed saw him glide under the posts for a beautifully taken try. the subsequent conversion by Chris Johnson made it 10-26 at half time a score line that flattered the home side. A few more passes to hand and this could have been a 30+ point lead. The Second Half was an altogether different story from 46 minutes to 80 minutes. Although Sale started the second half as they finished the first, with a blistering run by Arron Reed evading tackles left and right, putting Adam Aigbokhae into space and over for Sale’s 5th try and his 2nd Try on 45th minutes to make it 10-31. Up to this point in the game, there was really only one team in it and Sale FC looked like taking all five points, then, Cambridge got into their stride. They started using their battering ram of an Eight Steven Hipwell, who used not just his sizeable frame, but his speed to cause havoc up the middle. Ean Griffiths picked up his second try at 51 minutes, and although the conversion was missed, it was 15-31 and the crowd was sensing a fightback. Sale’s defence was creaking in the heat and they then started to get penalised heavily at the breakdown and a series of penalties lead to a try by the number 8 Steven Hipwell on 58 minutes. A second series of penalties under heavy pressure lead to Matt Postelthwaite being Yellow Carded on 66 minutes for not rolling away quickly enough. The home crowd were sensing blood and their voices were getting louder, the penalty lead to the lively winger Elvers picking up a try on 67 minutes and now we were 27-31 with a successful conversion, Cambridge were only two points behind on 29-31. On the 75thminute, Elvers found himself in space again with a three on one and for the first time in the game we were down, a successful conversion and with minutes to go it was 36-31 and Sale looked like snatching defeat from the jaws of victory. The day got even worse when being held on the ground, replacement prop Jake Pope was red carded for retaliation and Matt Bradley could take no further part with cramp. Adam Aigbokhae retook the field to play in his third position of the game on the wing for the final few minutes. Then, all hell broke loose, with the Cambridge faithful, looking to pack up and go home, Chris Johnson and Jack Moorhouse combined to break, and we were suddenly all over Cambridge, 14 men against 15 and we spent 4 breathless minutes on the Cambridge five metre line doing everything to crash over. From one side of the field to the other, Simon Griffiths scoring from short range, ending the game as he started, with a try bringing us to an unlikely 36-36 and a conversion attempt to go. The conversion sailed wide giving us and Cambridge equal spoils and a few heart issues as well. As an advert for rugby, there has rarely been a better game. Hard fought, 11 tries and total commitment. This is going to be a fantastic season.